William Randall "Bill" Downs, Jr. (August 17, 1914 – May 3, 1978) was an American broadcast journalist and war correspondent whose career spanned from 1937 to 1978. He is best known for his work as one of the original "Murrow Boys," a team of war correspondents hired by Edward R. Murrow to cover World War II for the Columbia Broadcasting System's nascent news division. These men were stationed across Europe throughout the war, and Downs delivered eyewitness reports on the London Blitz, Stalingrad, D-Day, and more. 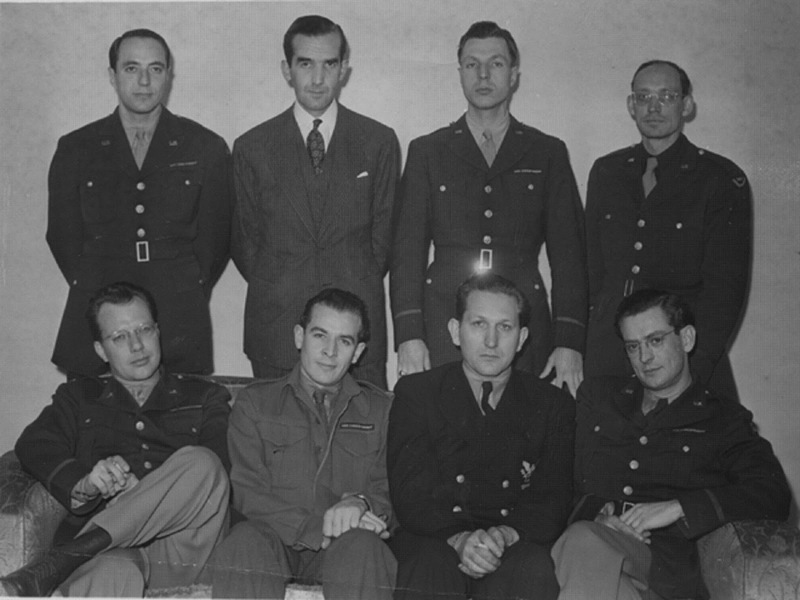 After spending three years with the United Press in Kansas City, Denver, and New York, Downs was sent to London in 1940 to cover the war as a wire reporter. Two years later he met Edward R. Murrow and was quickly recruited to CBS. 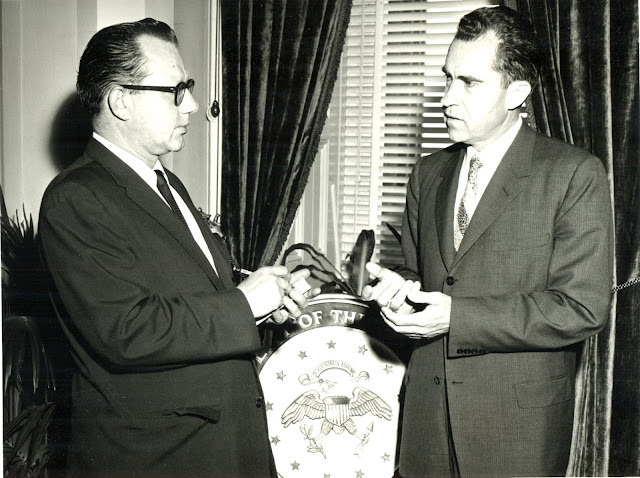 Murrow assigned him to the Eastern Front in December 1942 to relieve Larry LeSueur as the Moscow correspondent. Downs arrived just in time for the 1943 Soviet offensive, and over the next year he described in graphic detail the devastation he saw at various cities in the immediate aftermath of the Nazi withdrawal, including Stalingrad, Kharkov, and Kiev. After a brief return to the United States in January 1944, Downs rejoined Murrow in London. He landed at Gold Beach with the British 50th Infantry Division on D-Day. 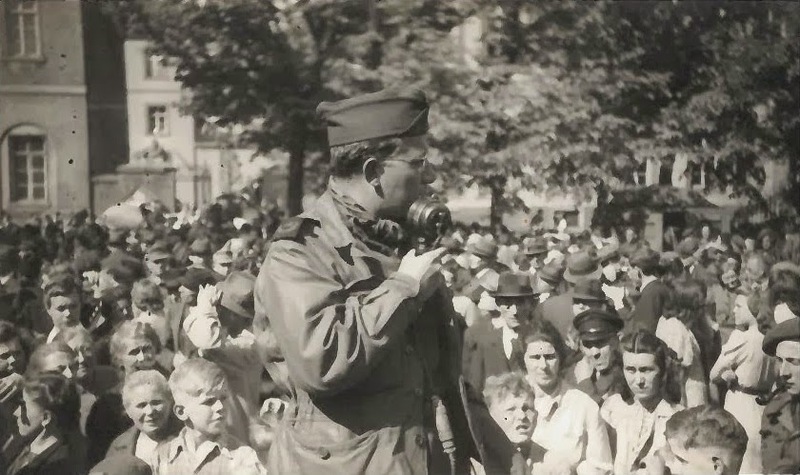 Eight days later, after much technical difficulty, he managed to acquire a working mobile transmitter, and in doing so unwittingly delivered the first live broadcast to the United States from the ground in Normandy. Downs covered the Allied forces on the Western Front until the end of the war in Europe. 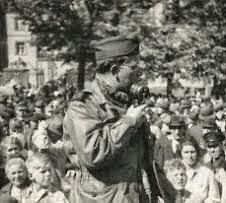 He was the first correspondent into Caen upon its liberation, after which he covered the liberation of France and Belgium, Operation Market Garden, and the invasion of Germany. In 1945, he received the National Headliners' Club Award for his eyewitness report on the German surrender at Lüneburg Heath. "With his explosive delivery and booming voice, Downs was not very good on the air. Nor was he an elegant writer. He wasn't handsome and glamorous like his better-known colleagues, didn't pal around with generals and politicians. He was Murrow's Ernie Pyle, more at home with the troops and his correspondent buddies than with celebrities, more at home at the front (despite his increasing abhorrence of war) than at the rear." During the war, he established a lifelong friendship with his former UP colleague Walter Cronkite. They continued to work together after Downs joined CBS; at one point both were nearly killed when caught in an air raid near the front lines. In later years, his friendship with both Cronkite and Murrow placed him at the center of their rivalry at CBS, a tense period which lasted until Murrow's resignation in 1961. Soon after the end of the war in Europe, he joined a group of foreign correspondents led by Tex McCrary that toured the Middle East and Asia. These reporters were among the first foreigners to enter Hiroshima after the atomic bomb blast, and were also present for Prime Minister Hideki Tojo's suicide attempt. In late September 1945, the press party stopped in Vietnam, where Downs was caught in a firefight near Saigon in the aftermath of the death of Lt. Col. A. Peter Dewey. Soon after the debut of Murrow's See It Now program, Downs was one of the earliest and most insistent of Murrow's friends to urge Murrow to use his new platform to challenge Senator Joseph McCarthy. From 1953 to 1956 Downs was assigned to CBS' Rome bureau to cover the Mediterranean and Middle East. During his tenure there he interviewed figures such as Gamal Abdel Nasser, David Ben-Gurion, and Moshe Sharett. He also interviewed Eleanor Roosevelt alongside his colleague Edward P. Morgan. After almost two decades at CBS, Downs, frustrated with the new management and the industry's change in direction, left in 1962 in hopes of becoming a novelist. Similar to other members of the Murrow Boys, he believed his career had declined over the years, and that the network had been taking him for granted as he received increasingly inconsequential assignments. This was in part due to the major shift in focus toward television—the new management at CBS believed that he was ill-suited for the screen, both because of his looks and his gruff voice. After a year and a half of retirement, he joined ABC News to cover the aftermath of the assassination of John F. Kennedy. He later worked as the White House correspondent and the Pentagon correspondent, in addition to providing regular commentary on American foreign policy and international relations. Starting in 1970 he covered ecological issues and became a regular contributor to ABC Evening News. Downs died of cancer in 1978. Obituaries were printed in both The Washington Post and The New York Times, and his passing was announced by his friend Walter Cronkite and Harry Reasoner on their nightly news programs. The sources featured are mostly primary and unpublished. The bulk of his personal papers are available at Georgetown University's Special Collections Research Center. These include original broadcast scripts, letters, memos, personal writings, photographs, and tapes. The rest of his papers and memorabilia were kept by his wife, Rosalind, until her death. Other information is cited from published works: magazine and newspaper articles, books both in and out of print, radio broadcasts, videos, and interviews. Many of the photographs featuring Bill Downs and the other Murrow Boys are from Downs' personal collection, although some have also been published elsewhere. Texts beginning with "Bill Downs/Location/Date" are broadcast scripts. 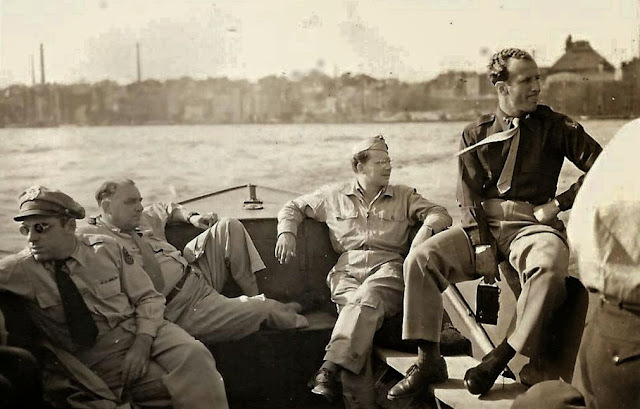 Other posts are of general historical interest, usually (but not always) tangentially related to Bill Downs' career, such as the 1944 articles by Ernest Hemingway, who Downs encountered at Mont-Saint-Michel in Normandy two months after D-Day. Other posts include transcribed speeches and broadcasts that previously were not widely available, including the Murrow Boys' famous D-Day reports. For further reading, The Murrow Boys: Pioneers on the Front Lines of Broadcast Journalism by Stanley Cloud and Lynne Olson is the definitive account of Edward R. Murrow's news team at CBS.